“Wisdom is supreme; therefore get wisdom. Though it cost all you have, get understanding.” —Proverbs 4:7 (NIV) When a man’s life embodies the pursuit of wisdom, it bears among its fruits the deep love and respect of his family, friends, and colleagues. Bruce K. Waltke is such a man. Wisdom has defined Dr. Waltke, both as one of his personal qualities and as the core of his many years of biblical study, invoking the highest efforts of his formidable intellect and etching itself indelibly on his character. In tribute to Dr. Waltke, we present this collection of writings exploring the wisdom perspective of the Bible. 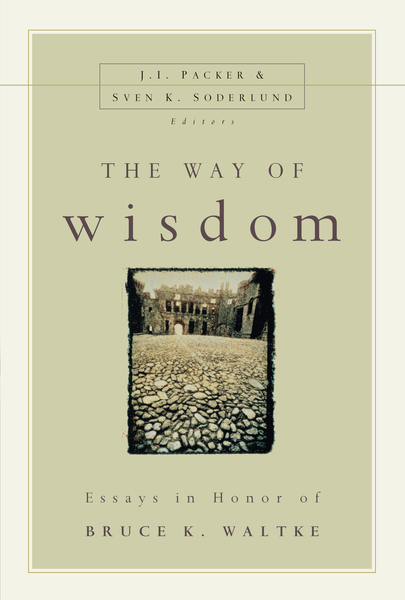 The Way of Wisdom displays a level of scholarship and insight in keeping with Bruce Waltke’s high academic standards, and a breadth of outlook reflective of his own broad grasp of God’s Word and its application to all of life. May you, the reader, benefit.